Consumers want transparency; retailers are demanding it. Food processors who deliver it gain trust. But what is transparency? “Customers want transparency.” When someone like Walter Robb, co-CEO of Whole Foods Market, says that, food and beverage processors listen. But what exactly does he (and his customers) mean? What is transparency? It’s one of those means-different-things-to-different-people issues. It certainly includes a clean and clear label. A clean label typically means foods with fewer ingredients, preservatives or artificial flavors, colors or sweeteners. Consumers also crave authentic, ethical, simpler alternatives to conventional fast-and-mass production processes. Transparency in the food chain involves many different domains. Replacing artificial ingredients with clean ingredients is just the beginning. Food companies realize this is heading to a new level of communication. Processors need to tell consumers their story, whether it’s how they created a shorter ingredient statement with fewer chemical-sounding names, a code of ethics, being on a first-name basis with farmers or concern for the Earth. Greenridge Farm, Elk Grove Village, Ill., in March relaunched its deli products by touching on several elements of transparency. “Hand-crafted, featuring traditional European recipes and spices, Greenridge Farm products are now carefully curated down to the last detail: free of nitrates, nitrites ... artificial flavors, artificial colors, phosphates, MSG, gluten and soy [using] only the highest quality ingredients available, including sea salt rather than iodized salt, and are sourced locally whenever possible,” reads a company announcement. Consumers have begun to learn quite a bit about where their food comes from and and what’s in it. Last year, General Mills, Nestle and Kraft Heinz began replacing artificial flavors and colors; more breads, crackers and cookies are going allergen-free (think Udi’s, Enjoy Life, even Keebler) and beverages are available in organic versions (PepsiCo just came out with an organic Gatorade). Such moves to reformulate have begun to pay off for some processors. Simpler ingredients may be reversing sales losses at General Mills. Chairman and CEO Ken Powell reports seven General Mills cereals that were reformulated to remove artificial colors and flavors saw a 6 percent upturn in sales as of January, regaining a 6 percent drop in sales they suffered last year. “It’s definitely important to inform consumers about the food they are buying,” affirms Londa Nwadike, consumer food safety specialist for Kansas State University Research and Extension and the University of Missouri Extension. According to Nwadike, there are many misleading and non-regulated terms such as “local,” “sustainable” and “artisan,” and the FDA also doesn’t have any definition for the widely used term “natural,” she notes. At least not yet. The word “natural” has been controversial and difficult to define in terms of food, but the FDA currently has an open comment period until May that allows consumers and food businesses to comment on whether there should be a definition for natural and what that definition should be. Transparent, clean-label attributes were one of the top five U.S. food and drink market trends listed by Mintel Group for both 2015 and 2016. Clean eating has inspired a back-to-basics approach to product development, points out Innova Market Insights’ Top Ten Trends list for 2016. 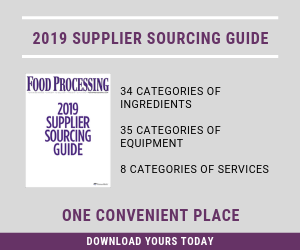 “Interest in a return to food processing the natural or old-fashioned way, the search for permissible indulgence and the re-establishment of links to ‘real’ food are some of the emerging trends this year,” says Lu Ann Williams, director of innovation at Innova. One hotly contested call for food transparency is about labeling products that contain genetically modified organisms (GMOs). In January, Campbell Soup Co., Camden, N.J., was the first major food company to call for mandatory national GMO labeling of food products, but a handful of big firms followed in the past month. But this won’t be enough, according to international food and restaurant consultants Baum + Whiteman. The Brooklyn, N.Y. consultancy also says don’t bother illustrating packaging or menus with pastured cows and leaves of grass ? consumers are searching for more concrete, holistic initiatives, such as hard data on waste control and water conservation, animal and employee welfare, sustainability and a host of other ecological and social issues. Arnot refers to CFI’s 2015 study that surveyed 2,000 people to explore the most important attributes of trust-building transparency – policies, practices, performance or verification. Effective practices cited were consumers’ ability to engage a food company by asking questions through a company website and receiving straight answers in a timely fashion. Offering the results of third-party audits publicly and putting information in easy-to-understand language are other points consumers seek. “These practices demonstrate a company’s values in action, and our research shows shared values are the foundation for building trust,” Arnot adds. Transparency can be conveyed via product packaging. Bare Snacks, San Francisco, recently shared its philosophies with consumers via packaging graphics that convey its core values to consumers: simplicity, transparency and nothing bad for you, according to CEO Santosh Padki. Wrappers for Rxbar protein bars from Chicago Bar Co. were recently redesigned to feature only a list of ingredients on the front of the package, and nothing more, in order to stress Chicago Bar’s commitment to whole foods. All of this means challenges for product developers, who must balance demands for naturalness and no preservatives with the very vital needs of maintaining shelf life and preventing spoilage and bacterial growth. In some cases, natural ingredients can provide equivalent functionality and help clean up a label. A number of plant-based antioxidants – including rosemary, green tea and acerola – are effective at protecting a variety of foods from color and flavor degradation. Other natural preservatives and ingredients include acidifiers and organic acids, antioxidants and natural fibers. While it may sound counter-intuitive, technology can provide solutions: high-pressure pasteurization and high-voltage pulsed electric pulse fields are providing enough sterilization to pre-empt preservatives. Clean-label hydrocolloids, for example, can help formulators sort out their clean label stabilization options, notes TIC Gums, White Marsh, Md. TIC offers gums, stabilizers and blends derived from natural sources to meet multiple needs of natural, organic and non-GMO applications. The company also provides a clean-label hydrocolloid chart to address transparency issues. Egg ingredients offer more than 20 functional properties in formulation, including binding, aeration, emulsification and coagulation, says the American Egg Board, Park Ridge, Ill.
Food developers buying more minimally processed ingredients want assurance the ingredients are indeed minimally processed, so ingredient companies must show proof of the steps taken to verify their claims. Boulder Organic Foods, Boulder, Colo., struggled early on to source enough organic, gluten-free, and non-GMO ingredients to keep up with demand for its soups. Now it collaborates with organic farmers and traders in advance to ensure it receives sufficient supplies in time, explains CEO Greg Powers. Ingredient supplier Ingredion since 2004 has used its Truetrace program to protect non-GMO purity via global, third-party-audited best practices for segregation and documentation of non-GMO maize. Procedures for growers – regarding seed, farm practices and production fields – are strictly enforced and audited according to established protocols. “Using identifiers for each grower, we can trace any batch of starch back to the farmers who grew the corn, the fields on which the corn was grown and the seed varieties and lots used,” says a company spokesperson.